One of the reasons people love Kingdom Hearts so much is all of its crossovers with all different types of Disney properties. And for Kingdom Hearts III, Square Enix really tapped into the crossovers, and even expanded with Pixar properties -- such as Toy Story and Monsters Inc. -- which weren't in the previous games. 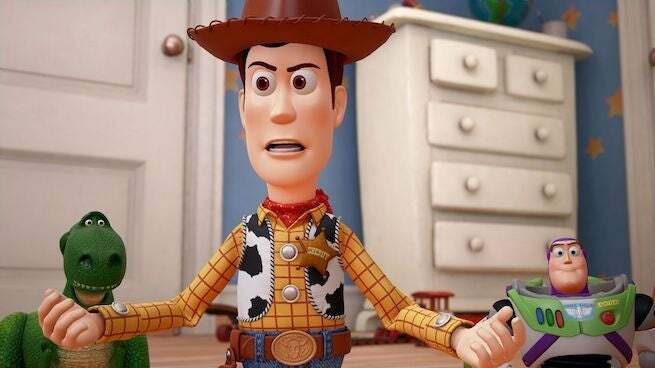 And apparently adding Pixar to the crossovers list was a sticking point for the game's director Tetsuyta Nomura, whose biggest priority was making sure the likes of Toy Story and Pixar were represented in the highly-anticipated action-RPG. While speaking to the magazine Edge, Nomura revealed that he specified to Disney before development even began that Pixar properties be represented in the game, and if they weren't going to be, he wasn't on-board to make the title. Interestingly, Nomura also opened up about the process of working with Pixar, revealing the collaboration took years. From the sounds it, the crossover, or cross-pollination if you will, was much, much more involved and comprehensive than with previous games, which hopefully means it will be even better. It also perhaps further explains why the game took so long beyond just issues switching engines. Kingdom Hearts III is in development for PlayStation 4 and Xbox One, and is scheduled to release on January 29, priced at $59.99 USD. If you haven't pre-ordered already, but still want to, be sure to peep our extensive guide for doing so.